Although the formatting of the SST datasets needs to be completely freshened up, once again, before commenting, I commend the SST collaters for honoring their data by ensuring the preservation of comprehensive metadata – as opposed to their cousins at CRU and GISS. Unfortunately, there don’t seem to be any statistical analyses of SST measurements – by this, I mean, where the authors analyse the actual bias of changing measurement systems and provenance. (Although Thomson et al [Nature 2007] challenged earlier bucket adjustments, they didn’t do the sort of patient data analysis that the field cries out for. The statistical problems are by no means easy. As I mentioned the other day, I’ve collated data from a few gridcells in the Pacific (one pair at Honiara near Bougainville and one pair at Hawaii.) Today I’ll illustrate the nature of the problem with a graph that took me a long time to articulate. [Click for a larger version]. I’ll explain below. Figure 1. Hawaii gridcell 17N, 157W. From the ICOADS data for gridcell 17N, 157W, I calculated the random effect for each month (sort of a monthly anomaly adjustment) and subtracted that from the simple average. I first excluded all SST values below 15 deg C (including many negative values) and all SST values above 35 deg C (including a torrid 96.3 deg C measurement.) The result is shown in grey together with a smooth in black. Overlaid on this (red) is the ERSST3 smooth for the gridcell. The ICOADS information here has tables describing the various decks. I aggregated the decks (a pretty rough cut) to ship, buoy, NODC, US DOD (autodin) with a separate class for “US navy” – important here. I also did a grouping of the SST Code classes (SI) into bucket, inlet and sensor. Other possibilities arise, but I wanted to keep each graphic to 3-4 groups for analysis. On the right, I calculated 1975-1990 averages for each class (restricting the average to somewhat isolate the factor difference from the trend.) As you see, there are substantial differences between the average temperature for each group. Autodin, NODC and buoy measurements run about 0.5 deg C warmer than ship measurements; sensor measurements (and there are a few different types) also run about 0.5 deg C warmer than buckets. In the past, I’ve been sarcastic about the implausible assumption that all SST measurements changed from bucket to engine inlet in Dec 1941 after Pearl Harbor. (Hawaii doesn’t seem like a bad place to examine this assumption.) And indeed the form of the adjustment proposed by the climate science specialists is implausible. The transition from bucket to engine inlet began in the mid-1930s in this gridcell anyway and was merely completed during WW2. ERSST contains an adjustment for this changeover – the need to an adjustment is evident and an appropriate adjustment isn’t all that easy to calculate given that there is a concurrent trend in temperature. The timing of some of the features in the ERSST record (relative to the averages of ICOADS data shown here) seem a bit odd. The point that intrigues me though is the size of the difference between measurement types. So when one sees the warm recent values (in the period past the 1990 date to which I;ve collated ICOADS info), one wonders the degree to which the increase is due to inhomogeneous measurement methods as opposed to climatic change. 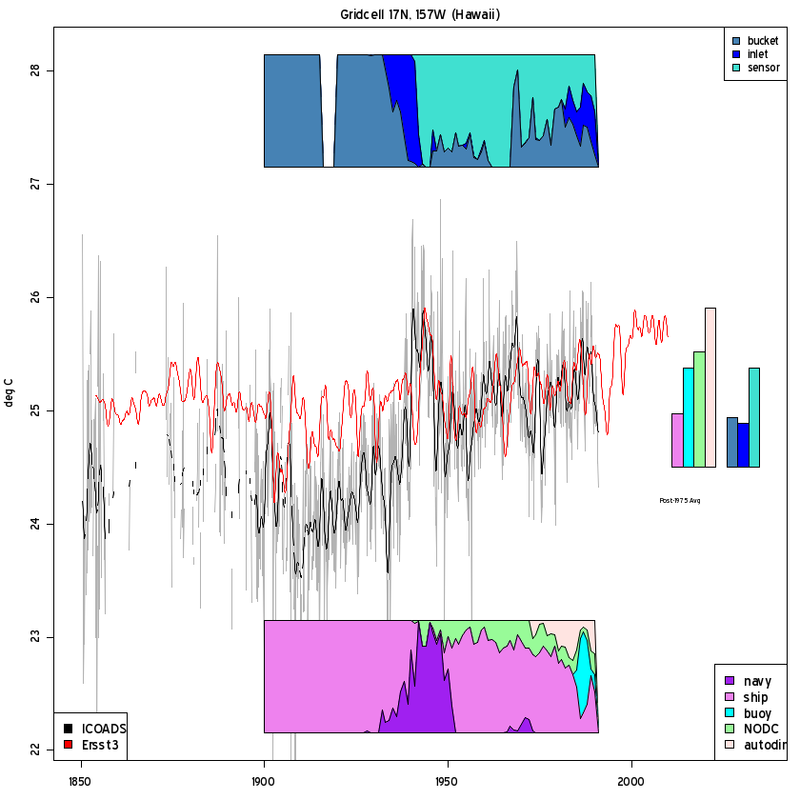 (That the temperature has increased is not at issue – all that I’m observing here is that it is non-trivial allocating the increase in the sample average between changes in measurement type and climatic change. Under such circumstances, it would be nice to consult the land record on the island to see if it can assist. Here’s a comparison of ERSST3 to CRUTEM for this gridcell (also compared on an earlier occasion). As readers are well aware, Phil Jones and CRU have supposedly “proven” one more time that there isn’t any material UHI impact on CRU records, though the non-existence of UHI is not totally evident in this graphic. I’ll re-visit this topic in a few months, but this is it for now. This entry was written by Stephen McIntyre, posted on Sep 1, 2010 at 8:24 PM, filed under SST and tagged bucket, hawaii, ICOADS, SST. Bookmark the permalink. Follow any comments here with the RSS feed for this post. Both comments and trackbacks are currently closed. Fig. 1 is hard to read even in the enlarged form. Can you enlarge it further? Thanks! 1. Why are you opening a new discussion, when you still have not fixed the mistake on the error bars from your previous post? 2. Since, you’r not fixing it expeditiously, please put back the old version (which was touted by hoi polloi elsewhere, like Lucia at Blackboard) so that it may be fisked by others. BTW, it is outrageous to cover your tracks like this by disappearing your mistakes. 3. Please open the locked thread. You are back from Italy. Man up and do it. Don’t be scared. Steve: Sorry for the delay. I got diverted into the ICOADS data which I hadn’t looked at before; the IAC report has come out as has McShane and Wyner. I’ll revisit this as there are some interesting results. The point is a good one and has interesting results, but I need to re-do the calculations. I also have some personal obligations in the next little while. Steve, you won’t let us be rude to “climate scientists” in the same way “scientist” is rude to you. Why don’t you ban him? The original poster made a valid point. Compared to all the blogs of this side of the debate, ClimateAudit provides the only effort to follow the scientific method. If this effort has no quality, then we should just give up. There is no restriction placed on submission of papers for peer-review that papers with one focus should deal with any and all objections before papers with a different focus are also submitted. This, in effect, is the restriction that “scientist” attempts to place on posts on this blog. He’s within his rights to remind SMc that there are outstanding issues on another post. That is the sole point on which his comment can be judged valid. SMc made no claim that the issues would be addressed immediately within a particular timeframe or under a particular set of circumstances and it’s at best disingenous to claim otherwise. And I don’t accept your declaration that this is the only blog on the divisive “side” you introduce that follows the scientific method, and note the strawman nature of your last sentence. Actually, no. 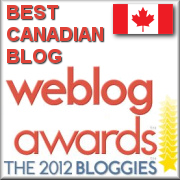 None of us have any rights here except those the blog owner allows. It should be recalled that many readers here are from non-English speaking countries. That they cannot write English perfectly does not mean they are illiterate. Indeed, it means they have a quite good knoledge of 2, 3 or even perhaps 4 languages, which is not uncommon in Europe. How many languages do you know, IanI8888? …and I thought the land-based adjustments were hard to understand. Good luck – seems like a very worthwhile project. ___It would be to easy to assume a malfunction of the measurements, although not totally impossible, but that would objectively mean that the people running the Obs must have been completely ignorant and incompetent not to recognising it. ___if naval activities caused the air temperature to drop dramatically „Honolulu Obs Oahu“ from 1945 to 1949. Even if it were true, it would only be a “sweet spot” for that location, and irrelevant for anywhere else. I thought he was being ironic, almost mocking. Airports have lots of special characteristics, and it would depend greatly on WHERE in the grounds the station was located. „Sweet spot“ was presumably meant ironic, but together with nearby OBS the matter gets serious, that is the reason why WUWT mentioned the discrepancy repeatedly. But on preliminary consideration of OBS Oahu station measurements during and after WWII, see here: http://wattsupwiththat.files.wordpress.com/2009/06/honolulu-observatory-giss-station-plot.gif?w=510&h=393 it seems a bit to simple to assume faulty equipment without proof, for which the graphic provides no indication. Due to the huge presence and activities of the US Navy close to OBS during the 1940s and 1950s it is presumably one of the rare opportunities to investigate an human impact with clear parameter, and it could serve as a unique chance to get GW advocates sweating. As a matter of interest how many individual data points make up this 150 year record, and how large- in sq miles or sq km- is the area covered in the gridcell? Steve: A while back I started looking into the differences in adjustments made to ERSST.v2, ERSST.v3b, HADISST, and HADSST2 in the main shipping lanes (North Pacific, South Pacific, and Indian Ocean) before 1940, using the ICOADS data as reference. And I was using the data available through the KNMI Explorer. There were differences of course between the datasets. No surprise there. But there were also differences in the adjustments from one major shipping lane to the next during the same period within the same dataset. I had expected this with the infilled datasets (the ERSSTs and HADISST), but it was also true of HADSST2, which I had hoped would have some commonality in the adjustments. No such luck. This is a truly minor point, but why is Honiara described as ‘near Bougainville’? It is on Guadalcanal, some hundreds of miles from Bougainville. Bougainville is well known for a very large copper mine. See here for a connection. http://www.c-r.org/our-work/accord/png-bougainville/key-texts6.php.) Good point about Guadalcanal. the increase of measurements from non-ship sources after 1945 and especially after 1980 appear not to be corrected for. This results in an overstated warming trend after 1945 and (again) the mid 1940s should clearly have the highest temperatures in this record. “Birstlecones”, what a jerk. I could make a more meaningful comment, but in a topic overwhelmed by snark, what is the point. You aren’t interested in serious science, just bitching and point scoring. You admit yourself you can’t even be bothered publishing and pursuing serious science, yet you have the gall to slap another backhander at the CRU. Waste of space. Steve: Do you disagree with any observations in the post? Your allegation that I “can’t be bothered publishing” is untrue. While I only occasionally submit articles to academic journals, it’s not because I can’t be bothered “publishing”. I “publish” regularly at Climate Audit. No wonder he won’t publish, snark like that would never be allowed in a serious scientific paper. snip – no need to engage on this. Be fair. If you have scientific evidence to add to the information, please feel free to air it for audit. It is correct that historically, much of the emphasis on auditing has been on land, especially USA. This is the first time I have been pointed towards quantitative, systematic SST problems at their roots. For the work involved in showing these problems for the majority of the surface of the globe, our host should be thanked. There are clear indications that problems remain to be resolved. I wonder where the equivalent discrepancies are formally published in peer-reviered journals? Maybe the potential authors who knew about and worked with these figures over the years are a bit reluctant to publish “negative” data for peer review. That is a strength of the blog, for there is less inhibition and one can actually gain kudos by demonstrating discrepancies rather than by concealing them. That is one significant difference between a scientific paper and a blog. Would you like some more? Tone as a disqualifier of something to be considered as “serious science” is an interesting notion. I’ve always thought the science journals of the 1800s published very flowery and philosophical papers – certainly they would be rejected today by any reasonable review standards. The notion that the scientific method and peer review resolves the science in any kind of reasonably short time frame is interesting. There used to be something called “ether” back in the 1800s, then there wasn’t, and now it’s revived again. Tune in in another century to see the next twist. snip – please do not engage in this sort of dispute. “I could make a more meaningful comment…”. No. No you couldn’t. That’s self-evident. The “snark” accounts for less than one half of one sentence in the opening paragraph, and the last sentence in the post. “Overwhelmed” is clear nonsense, and that you attempt to misrepresent the post in this way, in such a clumsily unconvincing manner, doesn’t bolster your case. Quite the reverse. I personally have no idea if it has merit or not – a lot of background reading to do to offer an opinion – but I can pretty much instantaneously judge the worth of your post. I am sure all the IPCC members will take note of the IAC recommendation to disregard all ‘grey’ literature from blogs and similar sources. That will certainly be an improvement from the previous IPCC report. But who was arguing that the IPCC should take material from blogs? So, using my eyeball trend analysis method, ICOADS shows a trend of about one degree of warming per three hundred years, ERSST3 looks like about one degree of warming every two hundred years, and CRUTEMP shows about one degree every fifty years. Am I fairly close, Steve? If I am, then one has to wonder strongly about the data and analysis used in CRUTEMP. 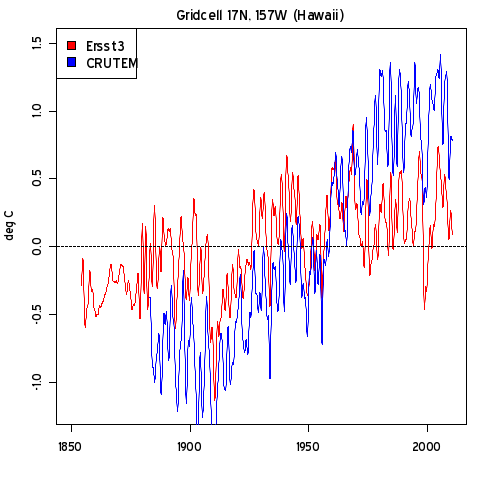 ICOADS and ERSST3 are not terribly incongruent, but CRUTEMP is a definite outlier. stereo, you are right maybe Steve is being a bit snarky. Maybe he has been affected by the treatment dished out to him by the team? Wouldn’t you be affected if you were given the same treatment? Shouldn’t one instead commend Steve for directing interest towards the sea surface temperatures since they will be more meaningful for climate science than land surface temperatures? WRT figure two, a difference time series might be very informative as to the nature of the apparent differences. To me it looks like the “wiggles” (ENSO? Noise?) match, but there are trends and or steps which occur separating one series from another. If there are patterns in the differences, it might hint at where the problem, if there is one, arises. The critical comments against this blog raised issues of ‘Steve is being snarky’ and ‘Steve is publishing in a blog, not a peer-reviewed journal’. In my observation this is typical of the style of critique used by AGW believers as a rule. And that fact alarms me. As a lifelong lay science enthusiast, I accept many prima facie implausible claims on authority. Relativity and quantum mechanics for example. I haven’t stopped trying to understand these fields, but am quite happy to trust that the scientists are correct. In cases where we do not currently know enough to determine the truth of an issue, we do two things. We suspend judgment, and we apply ‘rules of thumb’ to determine who is more reliable. Physicists in general pass those tests, and we extend our trust. Whether some statement is snarky or published in blog is beside the point. Even on their own grounds, whatever sense of gratification Steve is entitled to have felt in penning the comment about the SST collators maintaining meta-data, I would not classify that statement as snark. Instead,I see it as a true and important point. Similarly, implying that publication in a blog invalidates Steve’s claims, is some form of weird post-modernist non-science. Whether it appears to support or contradict other things we believe is irrelevant. Other such guidlines are ‘do thy argue ad hominem invalidly?’ Do thy ignore points raised against them? in skeptical sites, it is the AGW believers who keep failing the basic tests to inspire trust. Steve, sorry. It just ticked me off. I thought maybe you were too busy to notice it. Hi SteveM! Long time no post! It looked well maintained from the outside and my husband (the environmental geologist) said he approved of it’s location…it is in a good spot…not right under a bunch of trees but in a clear sunny area. We saw it and laughed; and I took a quick picture. My husband was born on the North Shore aka “the country”…and it hasn’t changed much in his lifetime. At least not like Honolulu has. I found a paper from Berkley from 1946 online with a map showing this weather station’s same location as well as some others. Is there temp data for this station online somewhere I wonder? Ack. my links are messed up! So sorry. Go to http://www.tinyurl.com and follow the instructions. Works like magic. Yep, works fine. I’m not sure if the line of gadgets appears without Mr. Pete’s CA asst or not, but it definitely does with it. You just copy whatever the actual link is, then type in whatever you want to actually show up, highlight it, click the link icon and then paste the actual link in. Works fine. Tinyurl is overkill, IMO. I agree with John from Oz.The sciency proclamations from the team and vicious attacks on Steve are reflective of a deliberate missunderstanding of science and the scientific method. If your expertise and command of a topic, boils down to, trust me I’m a scientist.No you can’t see the data. Adjustments are none of your business. Steve’s mild sarcasms show remarkable restraint and character. If you cannot explain your area of expertise to a layman, you are not an expert. The failure to communicate the methods and data massages by team IPCC has left them exposed as anything but competent.As to the sea temps,I look forward to an independant reveiw. I find myself wondering, are the “ship” measurements really lower than the buoy, nodc and autodin measurements, or are the ship measurements just predominantly from earlier, colder years. It would be interesting to see a spaghetti graph of the 4 groups of measurements. Roger Harrabin has reported on the climate for almost thirty years off and on, but last November while working on the “Climategate” emails story, he was prompted to look again at the basics of climate science.